Ginger is a perennial herb native to China and India. It is obtained from the plant Zingiber officinale. It is one of the most revered medicines in Ayurveda. Ginger is often referred to as a root, but it is actually an underground stem called rhizome. As a spice, the use of ginger dates back 4000 years. The medicinal properties of ginger were discovered around 2000 years ago. The National Library of Medicine has stated that the ginger root is used all over the world to treat nausea, loss of appetite, and vomiting, especially after surgery. It is also effective in treating nausea caused due to cancer treatment, colic, stomach upset, flatulence, motion sickness, and morning sickness. Ginger root has a rather irregular shape comprising of bulbous little joints, from which small bumps grow. Fresh ginger root has a gray outer surface whereas the inner flesh ranges from ivory, creamy white to pale greenish-yellow in color, depending on the variety. The over-matured roots generally contain fibrils running through their center. Ginger has a peppery flavor, with a hint of lemon, and a sharp aroma. Its pungent, spicy, and aromatic smell can be attributed to the presence of essential oils and phenolic compounds such as gingerols and shogaols. Due to its strong and spicy aroma, ginger occupies an important place as a spice, delicacy, and even medicine. Apart from being used fresh, it is dried, powdered, pickled, or used in the form of juice or oil. Ginger tea is a favorite in Indian households and a great remedy for battling cold and flu. It has been recognized by Ayurveda due to its medicinal properties. Nowadays, it is also being used in sweet foods in Western cuisine such as ginger ale, ginger snaps, gingerbread, ginger biscuits and ginger cake. Ginger is considered the ‘chest of medicine’ in Ayurveda due to its various health benefits. Its powerful therapeutic and preventive effects make it usable in the treatment of various ailments. Due to its antihistamine properties, ginger is effective in treating allergies. It inhibits airway contraction and helps in stimulating the secretion of mucus. For centuries, it has been used as a natural remedy for colds and flu. A teaspoon of ginger juice and honey is effective in relieving the persistent cough and sore throat associated with colds. Ginger tea helps to get rid of congestion of the throat and the nose. A mixture of fresh ginger juice and fenugreek is helpful in curing asthma. Ginger is also found to be helpful in treating stomach flu or food poisoning. This is one of the most applied uses of ginger. Ginger is considered the best herb for digestion. Consumption of ginger encourages the gallbladder to release bile, stimulating digestion. This encourages the assimilation of nutrients from the food we eat. In addition to this, ginger also provides relief from stomach cramps, diarrhea and bloating caused due to gastritis. We can take ginger in the form of tea or supplements to aid digestion. Chemotherapy is a treatment recommended after the cancer surgery to eliminate the presence of the cancerous cells so that the chances of recurrence of this disease can be minimized. Ginger root supplements are helpful in reducing nausea induced by the chemotherapy when administered along with the other anti-vomiting medications. According to a lead researcher at the American Society of Clinical Oncology meeting, Florida, Dr. Julie Ryan, more than 70 percent cancer patients who are exposed to chemotherapy radiations experience vomiting and nausea. The intake of ginger root supplement or juice before the chemotherapy reduces nausea and vomiting symptoms as the ginger root provides anti-inflammatory properties to the body. It is also found to be effective in treating sensations of nausea associated with motion sickness, sea sickness, etc. Research has proved that ginger is as effective as vitamin B6 in treating morning sickness. Thus, it is often recommended to pregnant women for preventing morning sickness. In general, you should not exceed 4 grams of ginger per day. It is also important to keep in mind that pregnant women should not take more than 1 gram per day. Ginger is very beneficial for treating chronic inflammation. It provides substantial relief from pain caused due to inflammation and even decreases swelling and morning stiffness. It successfully inhibits cyclooxygenase and five-lipoxygenase-enzymes that cause inflammation. According to a study conducted by the University of Michigan Medical School, ginger root supplement, when administered to the people suffering from colon inflammation, was found to be very effective in alleviating the condition. The co-researcher, Suzanna M. Nick, who was a part of the study, has stated that a reduction in the colon inflammation helps reduce the chances of developing cancer in the colon. The analgesic and anti-inflammatory properties of ginger are effective in reducing the pain and swelling in the patients suffering from osteoarthritis of the knee, rheumatoid arthritis, and general muscle discomfort. Ginger root also alleviates pain and is especially beneficial for those who have to take a painkiller to reduce the arthritis inflammation. Adding ginger oil to your bath can help relieve muscle and joint ache. In case of muscle strain, you can apply a mixture of warm ginger paste and turmeric for relief. If such patients incorporate ginger root supplements regularly in their diet, their need for painkiller medication will be reduced considerably. Thus, ginger is very beneficial for relieving pains caused due to rheumatoid arthritis and osteoporosis. Ginger can be used both externally and internally to treat inflammation. To prepare a ginger bath, boil 100 ml of water with a few slices of ginger. Cover the vessel to prevent volatile oils from evaporating. Leave it aside for 10 minutes and then add this mixture to your regular bath water. Using this water every day can help ease aches and pains associated with fibromyalgia. Taking ginger at the beginning of the menstrual period can reduce the symptoms of menstrual pain in some women. Ginger tea with brown sugar is often used in the treatment of menstrual cramps in Chinese medicine. Ginger provides migraine relief as it can inhibit the prostaglandins from causing pain and inflammation in the blood vessels. Applying diluted ginger paste on the forehead provides relief from migraine. Australian research scientists have suggested that ginger can lower the blood glucose levels in the body. Since the glucose levels have a direct impact on your weight gain or weight loss process along with how lethargic or energetic you feel all through the day, the regular intake of ginger root supplements in any form can bring a noticeable change in your levels of blood sugar. People who are more prone to low sugar levels should always incorporate ginger root supplements in their regular diet to avoid such problems. Ginger has been found to be effective in reducing the incidence of diabetic nephropathy (kidney damage). Ginger can calm an upset stomach, thanks to its carminative (gas expulsion) property. Thus, it provides relief from bloating and gas and helps reduce flatulence. It is advisable to take ginger in doses of 250 to 500 mg, 2 to 3 times a day, to get relief from flatulence. Ginger has been used as a natural remedy for the treatment of heartburn. Ginger tea is very effective for this purpose. Recent researches suggest that Alzheimer’s disease can be an inherited and runs as a common disease in many families. In case you belong to such a family and want to protect yourself from Alzheimer’s disease, then you should include ginger root in your daily diet. Researches further state that ginger slows down the process by which the brain loses its cells, which can be the precursor to Alzheimer’s. Ginger helps to protect and preserve the brain cells, thereby keeping you active, coherent and alert for prolonged periods. If you want to lose weight, then ginger root can be of great help as it plays an integral role in the process of weight loss. It is touted as one of the biggest fat burners as it not only promotes general weight loss, but also eliminates the stubborn fat from your body. Ginger root supplements make you feel satiated after you eat a meal, even in small portions. This limits your food intake, thereby causing weight loss. The antioxidant properties of the essential oils in the ginger root are highly effective in treating joint problems, fevers, coughs, toothaches, bronchitis, rheumatoid arthritis, osteoarthritis and easing the symptoms of tendonitis. 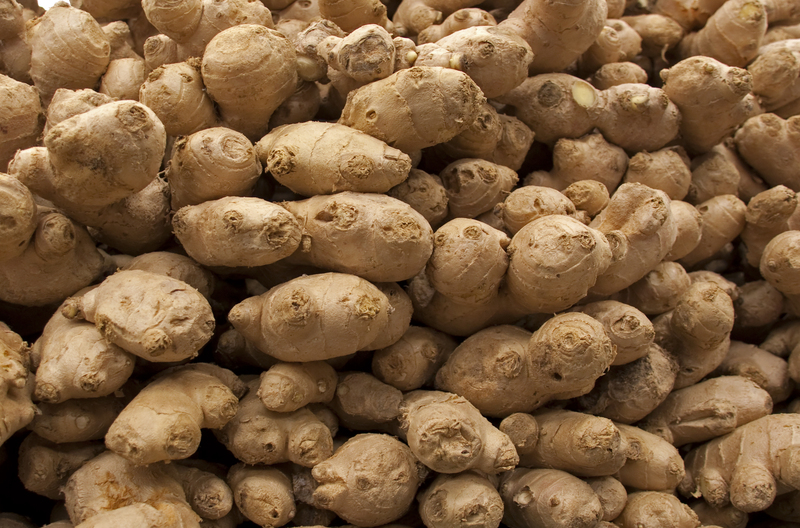 Some studies have revealed that the ginger root supplements can lower cholesterol and blood pressure. It also helps prevent internal blood clots. A strong immune system can keep all the diseases and infections at bay. Instead of taking medications to treat a particular disease or a condition, it is always better to take measures to prevent them. Ginger root extract is quite helpful in improving the immunity of your body. The regular consumption of ginger in small amounts reduces the risk of stroke by eliminating the fatty deposits within the arteries and keeping the blood circulation free. The medicinal properties that ginger ale contains help in reducing inflammation that is caused by bone diseases like osteoarthritis. According to studies, this drink can boost energy in people who suffer from this disease. Joint mobility is increased, and relaxation is induced. Natural ginger helps in making the body supple and improving the mood. The amount of time that this drink takes to have these effects depends on the level of severity of the bone disease. According to Chinese medicine, ginger ale is also known to be highly effective in strengthening the heart. Cholesterol levels can be lowered, and internal blood clotting can also be prevented when you drink this beverage on a regular basis. This plays an important role in the prevention of conditions like stroke. To protect your heart, make this delicious drink a part of your regular diet. Ginger ale has antioxidant properties that help in the elimination of free radicals, which may be a result of metabolic reactions within your body. This, in turn, leads to the protection of the tissues in your body from damage. The body’s cells can also be damaged by free radicals as the walls of these cells are fragile. When this damage occurs, cell mutation is the result. Cells that are mutated cause the development of medical problems like rheumatism, arthritis, and cataracts. The thermal effect that ginger ale helps in keeping the body warm and protects it from the cold. Researchers have found that ginger’s heat-generating properties are confirmed by its ability to dilate the blood vessels. This helps in keeping your body protected from hypothermia and other medical conditions that are caused by cold weather. Biological functioning is also supported as blood flow is stimulated due to the dilation of blood vessels. People with kidney problems can benefit immensely from the regular intake of ginger ale. It is well-known as a natural remedy that helps in dissolving kidney stones . To avoid surgery for this problem, drink this ale regularly and dissolve the stones naturally. Ginger oil is also helpful in improving your concentration so that you can meditate and excel in your spiritual practices. Research says that ginger oil attacks the negative points within you and increases your self-confidence. It restores your internal energy balance due to which you feel positive and motivated to stick to your goals and try to overcome the hurdles. Ginger oil is instrumental in eliminating the negative aspect of your personality so that you change for the better. Food poisoning can be caused due to exposure to toxic substances or due to ingestion of infected and stale food. If not treated on time, the situation can really become grim. Ginger oil is one of the best home remedies that eliminate the toxicity caused due to food poisoning from the body rapidly. Ginger oil is also effective in treating bacterial dysentery and intestinal infections of different types. Ginger contains around 40 antioxidant compounds that protect against aging. It improves the appearance of your skin by removing the toxins and stimulating the circulation, resulting in the delivery of more nutrients to the skin. The antioxidants prevent damage from the free radicals, thus preserving the youthful appearance of the skin. It improves the elasticity, making your skin more firm and youthful. In this way, it slows down the signs of aging. Applying fresh ginger juice can relieve the pain and heal burnt skin by restoring it to the natural position. You can also rub a fresh ginger slice on the skin two to three times a day to fade the scars within 6 to 12 weeks. Ensure to use a fresh ginger slice each time for topical application. Being a powerful antiseptic and cleansing agent, ginger helps in keeping the skin clean, smooth and free of blemishes. Besides, it also invigorates and stimulates your skin. It is also the best natural acne-fighting weapon as it minimizes the rate of acne formation and eruption by killing and clearing the acne-causing bacteria. Hypopigmented scars occur when the skin loses its pigmentation, and are generally white or much lighter than the actual skin tone. Ginger can reduce the appearance of hypopigmented skin to a significant extent. All you need to do is cut a sliver of fresh ginger and dab it on the hypopigmented areas and leave it for some time. You will see a slight improvement within a week or two. However, this should be done every day without fail for noticeable results. Ginger is known for its aphrodisiac, antioxidant and toning properties, which contribute to radiant skin. You can prepare a simple mask by mixing two grated gingers with two tablespoons of honey and one teaspoon of lemon juice and refrigerate it for at least 30 minutes. Apply it on your face and rinse with cool water after 30 minutes. This will nourish and soften your skin and prevent aging. Ginger increases the scalp circulation, resulting in the flow of blood to the scalp. Thus, it stimulates the hair follicles and encourages growth. The fatty acids present in ginger are beneficial for thin hair. You can make a hair mask by grating one tablespoon of ginger root in a small bowl and adding one tablespoon of jojoba oil to it. Massage your scalp with this mixture in circular motions and leave for 30 minutes or longer. Rinse off and shampoo as usual. This will combat hair loss and thinning hair and stimulate hair growth. Ginger is great for dry and brittle hair as it contains vitamins, zinc and phosphorus which impart sheen to your hair. Ginger root is a great remedy for hair loss. Ginger extracts make your hair stronger and pleasant smelling. Split ends are caused when the hair follicles get damaged due to the exposure to pollutants and excessive heat. Ginger extracts can be used in the treatment of damaged hair follicles. Dandruff is one of the most common scalp problems. Ginger has antiseptic properties that can help to get rid of dandruff. Ginger oil is an effective remedy to combat dandruff naturally. For this purpose, you can mix two tablespoons of freshly grated ginger with three tablespoons of sesame or olive oil, and add a dash of lemon juice to the mixture. Massage your scalp with it and rinse off after 15 to 30 minutes. This should be done thrice a week to get a dandruff-free scalp.